Secretary general of extremist group leads assault on pastor, family. (Morning Star News) – A top leader of one of Sri Lanka’s most militant Buddhist extremist groups led 250 people in an assault on a Christian leader and his family last month, according to sources in the country. 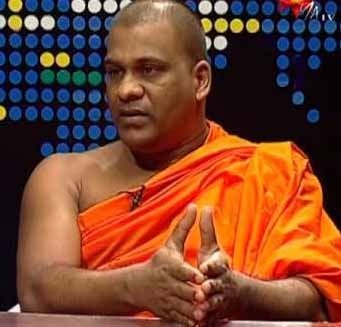 Based in the capital city of Colombo on the island nation’s western coast, Galagoda Aththe Gnanasara, general secretary of the Buddhist extremist Bodu Bala Sena, made the 71-mile trip to Sri Lanka’s central Kandy District to lead 250 villagers and 11 Buddhist monks to the premises of a Holy Family Church leader identified only as Pastor Susantha, according to the National Christian Evangelical Alliance of Sri Lanka (NCEASL). 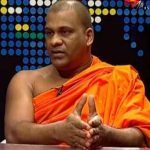 After storming the pastor’s Asgiriya premises at about 6:30 p.m. on Feb. 16, the villagers and 11 Buddhist monks belonging to the Bodu Bala Sena demanded that he immediately stop worship services that take place there. As Pastor Susantha was explaining to Gnanasara his right to continue worship services, the mob dragged the church leader and his wife from their home and assaulted them, sources said. The Buddhist extremists also verbally abused the couple’s 18-year-old daughter, sources said. The Bodu Bala Sena (BBS), translated as the Buddhist Power Force, is a Sinhalese Buddhist nationalist group founded by monks Gnanasara and Kirama Wimalajothi with headquarters in a facility in Colombo owned by the Buddhist Cultural Center, which Sri Lankan President Mahinda Rajapaksa opened in 2011. The BBS is responsible for much of the increase in persecution of Christians since 2012. Sri Lanka charged into 29th place on Open Doors’ World Watch List of the 50 nations with the worst persecution of Christians in 2013, after being absent from the list the previous year. Buddhism is the national religion of Sri Lanka, a country of 21.5 million with 1.9 million Christians off the southern coast of India, and the government promotes and protects the majority (70 percent of the population) religion, according to Operation World. At the same time, the country’s laws include provisions for religious freedom that Buddhist nationalist groups routinely flout, according to various sources. While most government officials condone BBS extremism and Buddhist leaders have been slow to condemn BBS leaders, much less strip them of their religious positions, some Buddhist clergy have voiced concern. The Daily FT reported a year ago that Buddhist leader Anunayake Bellanwila Wimalaratana told a news conference that BBS monks do not represent the views of most Buddhists. Still, anti-Christian persecution reports of the NCEASL are growing in intensity and quantity. The organization also reported that Buddhist monks accompanied by police officers on Feb. 23 demanded a pastor close down an Assemblies of God Church in Mamadalla, in Hambanthota District. The next day, two Buddhist monks from the area temple were present at a police inquiry in which they demanded that the pastor stop all worship activities. The officer quoted a 2008 circular issued by the Ministry of Buddha Sasana and Religious Affairs and stated that the pastor did not have Ministry approval to continue religious worship activities. The church, a congregation of about 30 members, has been functioning in the area for 14 years.